Negligent Hiring or Negligent Retention: Is there really a difference? We frequently read of negligent suits brought on by claimants who contend they were injured in some way by an accused subject whose owed duty of care was not upheld. In other words, individuals, groups, or organizations failing to uphold a legal duty of care while performing an act that could foreseeably cause damage to others, where this failure results in injury, may find themselves accused of negligence. That the claimant was injured as a result of the breach. Not surprisingly, we routinely hear of negligence suits in the medical field, in business, in regards to products, employment, land use, and much more. In an employment setting, negligent hiring and negligent retention are among the many potential sources of negligence claims. And while we do not offer legal advice on this blog, we can give you some useful information about the difference between negligent hiring and negligent retention to support our contention that there is likely no difference in the duty of care owed by an employer to its fellow employees, customers, and the public at large when it comes to hiring and retaining employees. whether the employee exercised appropriate due diligence in the hiring process. Like negligent hiring, retaining an employee whose potentially damaging behavior was known or should have been known by the employer can bring about a case of negligent retention. First recognized by the Florida Supreme Court in 1954, the tort of negligent retention considers it the employer’s responsibility to become aware of problems with employees that may indicate they are unfit for the job at hand; and furthermore to take action, such as investigating, discharging, or reassigning the employee in order to reduce the employee’s risk of harm to others. 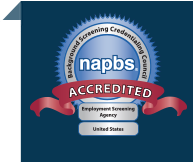 Experts frequently point to employment background checks as an affordable, common sense way to bolster an employer’s protection against negligent hiring and negligent retention. For an average cost of $50 or less and ongoing expense of approximately $10 per month per employee you can increase your protection on both fronts – hiring and retention. For details, explore our pre-employment screening services and ongoing criminal monitoring services. Please Note: This content, as with all content on this website, is purely informational. It may not be construed as legal advice. Please direct legal questions to your legal counsel.